Temple is a city located in Bell County, Texas. The population, according to the 2010 United States Census is 66,200 residents. Temple is located in the Killeen-Temple-Fort Hood Metropolitan Statistical Area. 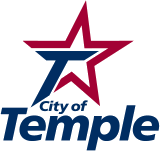 The city of Temple is served by the Temple Independent School District. The Temple home buyer will find the educational choices attractive for their school aged children. The district operates nine elementary, three middle and one high school, as well as three supplemental learning programs. Temple High School has an outstanding athletic program, as well as award winning programs in the arts and sciences. Temple is also home to three private schools which makes for more educational choices for families with school aged children and makes Temple TX homes quite appealing. Available real Estate in Temple is single and multi-family home, condominiums, town houses and undeveloped property. Prices for homes and land vary from affordable to the first time buyer to high end. When searching for Temple homes for sale, it is important to secure the services of a Temple real estate agent. Sara Vinson will know the best Temple properties available to meet your home buying needs. Temple began as a railroad town for the Gulf, Colorado and Santa Fe Railroad. The town was named for Bernard Moore Temple a surveyor and civil engineer for the railroad. In the early days of the Town’s existence, it was occupied by a rough crowd. Today, Temple is a small city with family friendly neighborhoods. The city also has a thriving medical community, as well as arts and retail amenities not typically found in small cities. Residents searching for homes for sale in Temple will appreciate the recreational opportunities available in the city. The parks and recreation department operates facilities that include two recreation centers, golf, climbing walls, fitness facilities, playgrounds and tot lots, picnic areas and picnic pavilions, walking and bicycling trails, sports fields and restrooms. Temple and the surrounding area are home to museums, cultural activities, seasonal festivals, entertainment, theater, paint ball and historic exploration. The city and surround area offers something for all ages. It’s the events that help define a city and Temple hosts a variety of events that bring community members together to celebrate the neighborhoods. Residents searching for Temple homes will find events for all members of the family. The events include seasonal celebrations, charitable events, Farmer’s markets, concerts and street fairs.